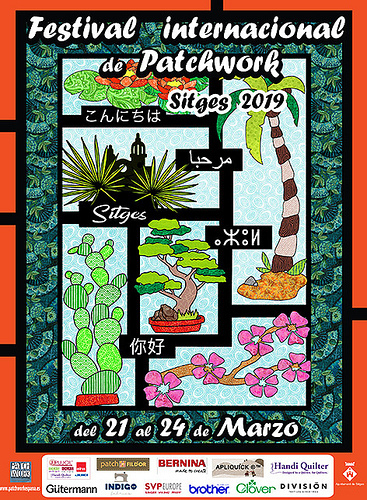 For fifteen years, the Spanish Patchwork Association (AEP) has been organizing the International Patchwork Festival in Sitges. This year, Ricky Tim had his own exhibition at the show. Carlos Dambo sent Ricky a video highlighting Ricky’s quilts and other items in the show, including exhibitions by the AEP, EQA, Betty Busby, Anne Woringer, Ximo Navarro, Peter Hayward, Quilts from the British Isles (Christopher Wilson-Tate collection) and the trade fair.